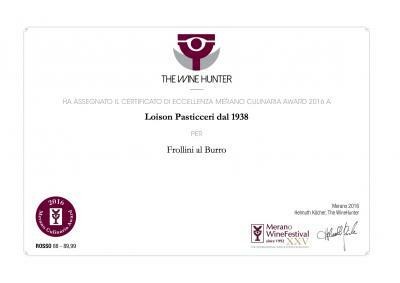 Since the late nineties, Loison products have been recognized for their superior quality not only based on their success in Italian and foreign markets, but also on numerous awards received from some of the most illustrious European and Italian organizations in the food and wine industry. 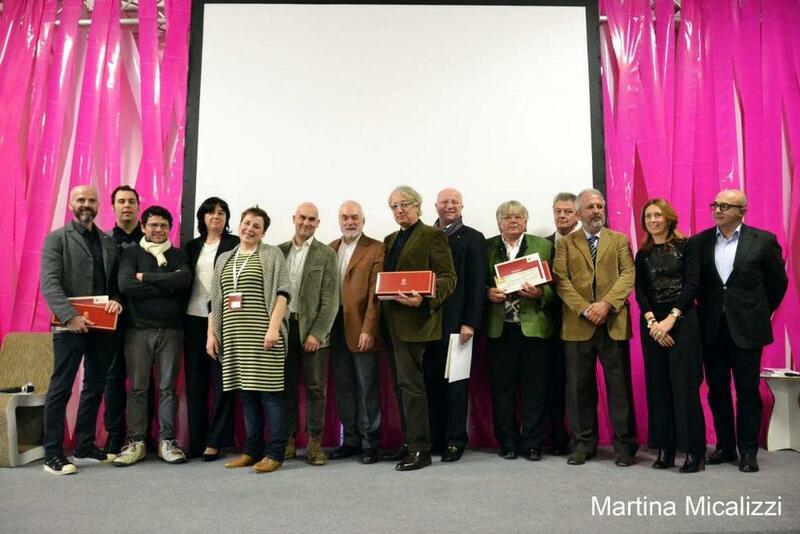 2016 - PREMIO FILIPPIN - Established in 1998 to honor former students who have achieved important goals in the professional field, Dario Loison received the award on May 21 at the Institute’s headquarters in Paderno del Grappa. 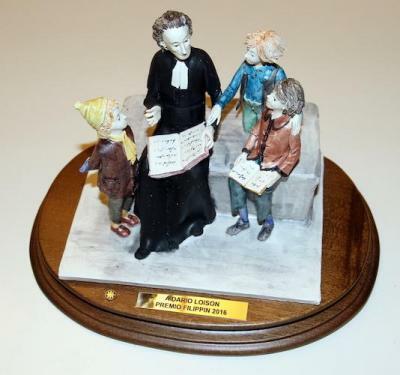 “For having been able to maintain unaltered over time the moral qualities developed at the Filippin Institute, with an eye always to the young and to their growth, both personally and professionally. 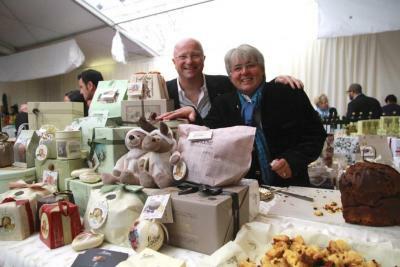 For the passion that his pastry-making business reflects, for the respect he shows to the past and for the attention he pays to the future, with all the opportunities it has to offer. 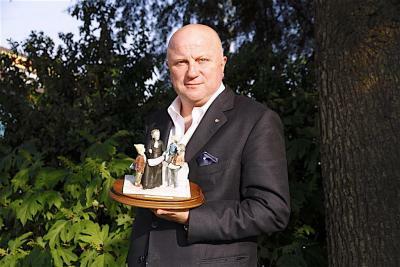 For his entrepreneurial spirit and for his vision, which often make him walk at his own special speed, all the while never forgetting to reach out to those who struggle to keep up with him”. 2014 - PREMIO Slow Pack - Loison earned the Slow Pack 2014 prize, in the Chain of primary, secondary and tertiary packaging category, "for the ability to express the history of the product with elegance and sophistication across all types of packaging." 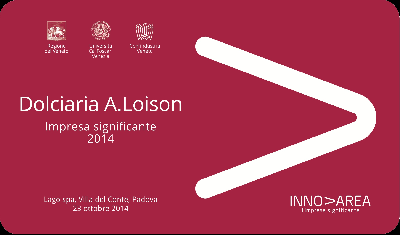 2014 - Impresa Significante 2014 (Significant Business) Loison leads a new renaissance, relying on Italy’s artisanal, civic, cultural and natural heritage. 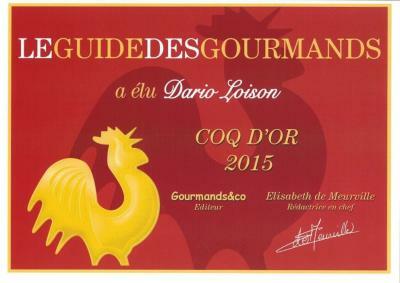 Awarded for gastronomic and culinary quality upon sensory and tasting analyses. 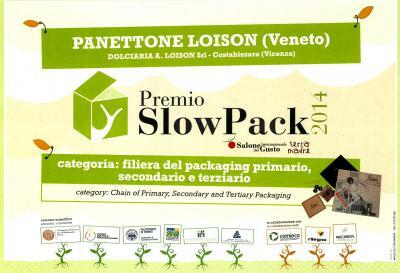 Awarded for the Pastry Panettone with Tart Cherries, as an innovative baked product based on its recipe, in the domestic category. 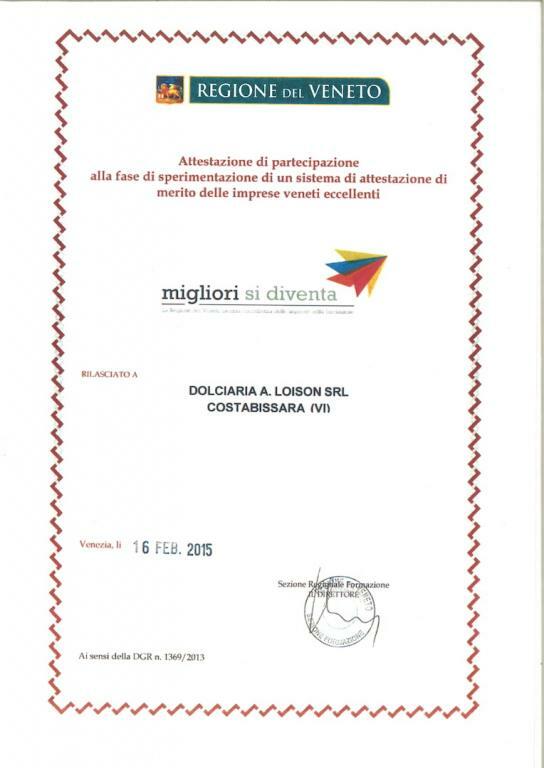 Awarded for the prestigious worldwide position taken over the years in terms of extensive economic relations. 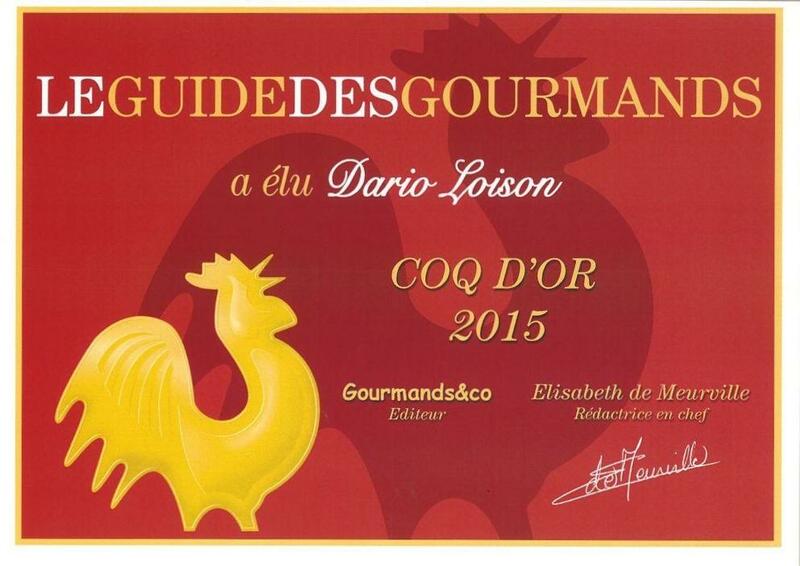 Awarded for high quality products and excellent flavor. 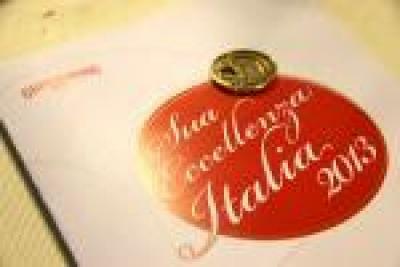 Awarded to Loison as a company of the food industry that distinguished itself in the promotion of an excellent traditional Italian product. 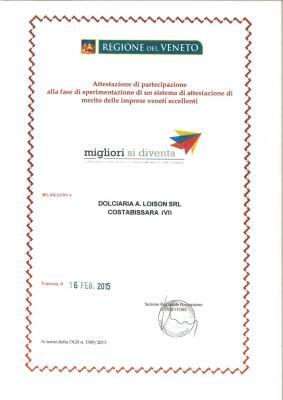 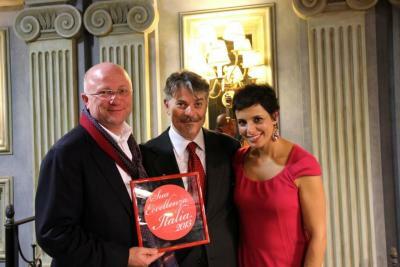 Loison’s “Gusto Dolce delle Venezie” Award. 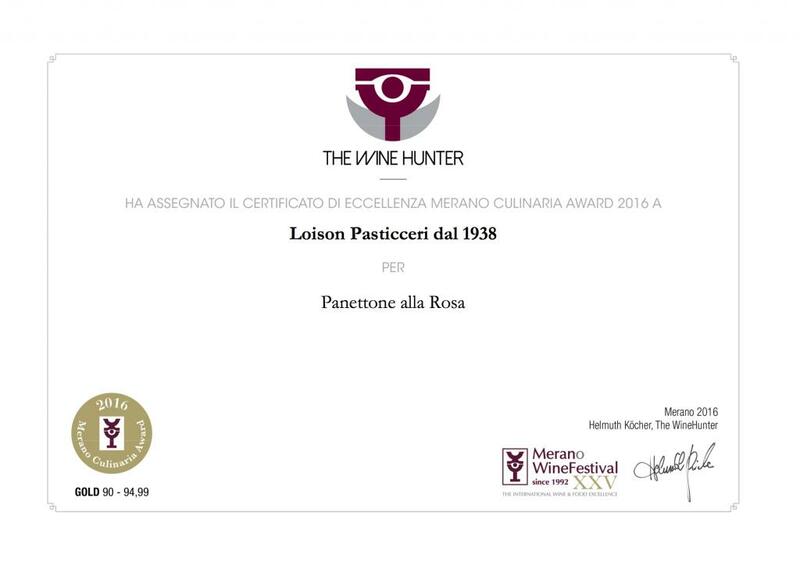 Loison does not only receive awards for its one-of-a-kind products, but also bestows them. 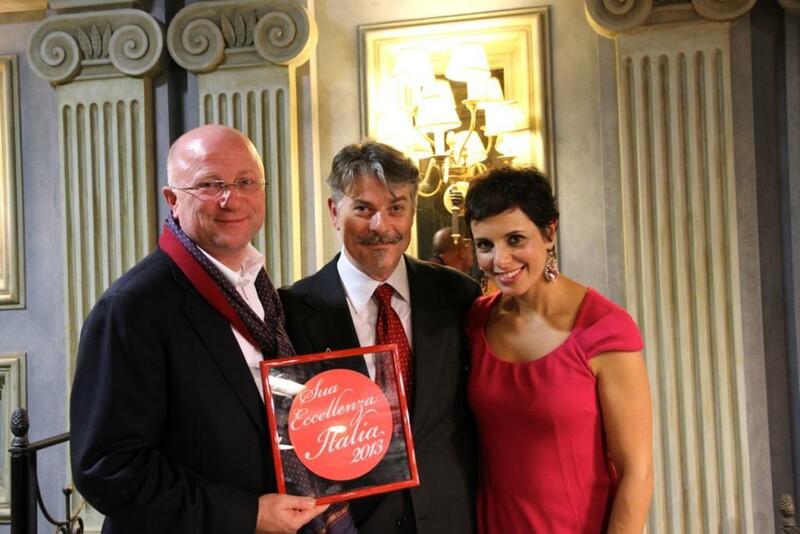 During the event called “A tavola con le Venezie 2014”, the “Gusto Dolce delle Venezie” prize (The sweet taste of Veneto) was awarded to Herbert Hintner, Chef at Zur Rose Restaurant in Appiano (BZ) because “sweetness is the first taste we experience in life and Zur Rose Restaurant has the ability to transform this feeling into a multi-faceted trip down memory lane”.